Karen McElroy, CCIM, began her real estate career in 2003 specializing in the buying, selling, and leasing of retail, office, industrial, investment property, and vacant land. She offers a full range of leasing and brokerage services including tenant and buyer representation, property listings, site selection, and consulting. She has worked with a plethora of local, regional, and national clients with the site selection process and/or in acquisitions and dispositions. 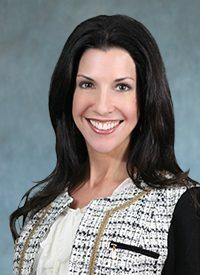 Karen is an active member of the International Council of Shopping Centers (ICSC), has earned the designation of Certified Commercial Investment Member (CCIM), and is a member of the Louisiana CCIM Chapter. She was a 2013 recipient of the 40 Under 40 Young Professionals sponsored by the Greater Shreveport Chamber of Commerce and is a graduate of the Greater Shreveport Chamber of Commerce Leadership Program and the Dale Carnegie Program. She is also a former long-standing member of the NWLAR Commercial Investment Division (CID) Board of Directors, a past chairman of the Real Estate Trends Conference, and a past member of the Louisiana Commercial Database (LACDB) Board of Directors. Mrs. McElroy is a graduate of the University of Louisiana at Monroe with a Bachelor’s Degree in Liberal Arts. She has served on the Christus Sutton Children’s Women’s Council, Holy Angels Champions for Children, South Highlands Magnet PTA Board, Shreveport Regional Arts Council Christmas in the Sky Auction Committee, and is a member of St. Mark’s Cathedral.